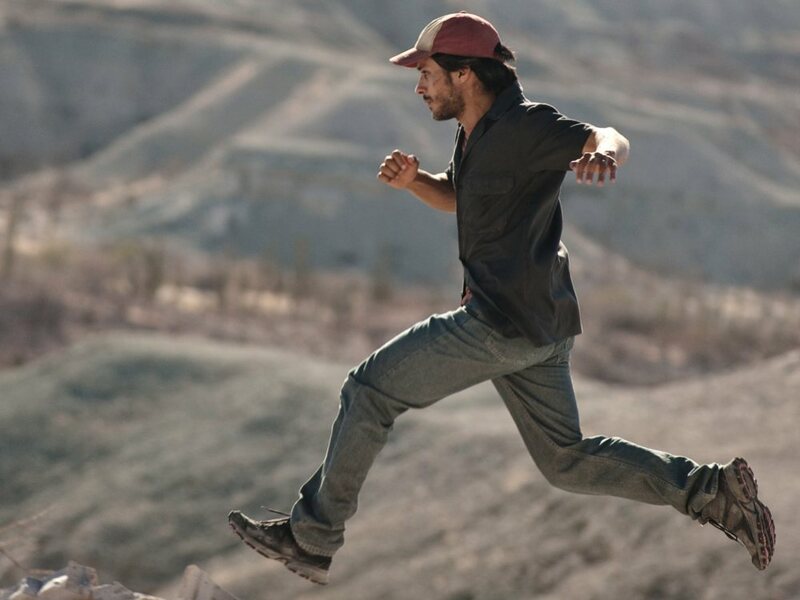 The London Film Festival may be over now, but reviewer Maysa Moncao grabbed a few minutes with the director of Gravity and his son about their latest film, the immigration thriller Desierto starring Gael Garcia Bernal. To like this interview, to comment on it or to follow this blog, scroll to the bottom. 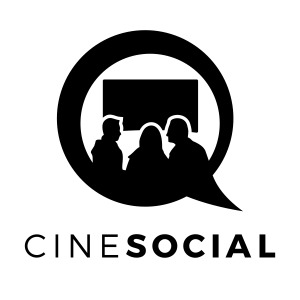 Gael Garcia Bernal, Jeffrey Dean Morgan, Alondra Hidalgo, Diego Catano, Marco Perez. Whilst attempting to cross the border from Mexico into the United States, a group of illegal immigrants find themselves stranded when their truck breaks down, leaving them no choice but to make the rest of the journey by foot. But upon entering US territory, the group of people become the unsuspected target of a gun toting racist who has taken the concept of border control into his own hands, and is determined to pick them off one by one. Alfonso Cuaron (AC): Do you wanna try? Try it. Maysa Moncao (MM): You’re right. It’s tough. Let’s forget about it. MM: Sure. Could you tell me about the theme of your movie, Jonas? Jonas Cuaron (JC): The movie is set in the border of Mexico and the US, but I think immigration is a very universal theme right now. AC: It always has been, since the first men left the South of Africa and populated the world. JC: Yes, migration has existed since humanity, but more and more it is becoming an issue. What interested me is how it became a problem. AC: What is interesting is that now your hero is the Other (talking about Gael’s character). We’re reversing the roles. The problem is not immigration, but the attitude towards it. This is a time of strong anti-immigration rhethoric, so we did a film with a character that is perceived as the Other. MM: Alfonso, you worked before with Gael (in Y tu mama tambien). How much different was this time? In the movie, he kind of disappears among the other Mexicans and is not a star actor at all. AC: That is the work between Gael and Jonas. Gael did a documentary where he mingled with the immigrants as one more character. MM: What did he bring to the set? JC: During the whole process he was a great ally. He was constantly pointing me into interesting research material. MM: Why didn’t you pick up the wall? JC: Well, obviously the US are investing a lot of money on building a wall (on the border), but there is territories that don’t even have a fance. When I was scouting and looking for a desert, I scouted many borders (Anza Borrego, Joshua Tree and Death Valley in California; Southern Utah, Arizona, New Mexico, Almerìa in Spain, Morocco and all of Mexico). And what amazed me was the arbitrariety of it. Many times there is no difference between the landscapes. You suddenly realise you crossed the borders and it looks identical. MM: In the final credits you thank a whole generation of Mexican filmmakers, including Alejandro Iñarritu, who have been for at least 15 years making interesting cibema. Has it changed anything in the American industry? JC: Obviously that generation, which includes my father, opened many doors for Mexican cinema, but my motivation was more pragmatical. Something that’s really nice about Mexican community is that they’re very open to give you feedback. So I would send them the script or the cut. MM: On the scene that Jeffrey pleas for his life, that seems strange according to his previous behaviour. AC: That was something Jonas was rewriting and I went to the set only once. AC: Yeah, they were too far away (Baja California). Well, you were probably never confronted by a bullet. That dynamic is interesting. You change at that moment. MM: Do you consider yourselves immigrants? JC: Yes, I live in the US. AC: It’s not if I consider myself or not, listen to my accent! People talk so nastly about migrants. And I say: ‘Guys, I’m sorry. I’m a migrant’. And people say: ‘ No, you are not. You are white’. I am a migrant. I happen to be very blessed to be a ‘luxury’ migrant.. Why is there acceptance towards me, and not to all of others.? Every time I hear ‘these migrants are doing horrible things’ they are talking about me. Why money can flow between borders and people can’t? I am allowed to cross borders because there is a perception of money support but even so it’s very difficult to have a Mexican passport and travel around. I spent many hours in offices when someone is checking my papers. Then he’d come back and say ‘Oh, sorry, you did Harry Potter, you can go’.